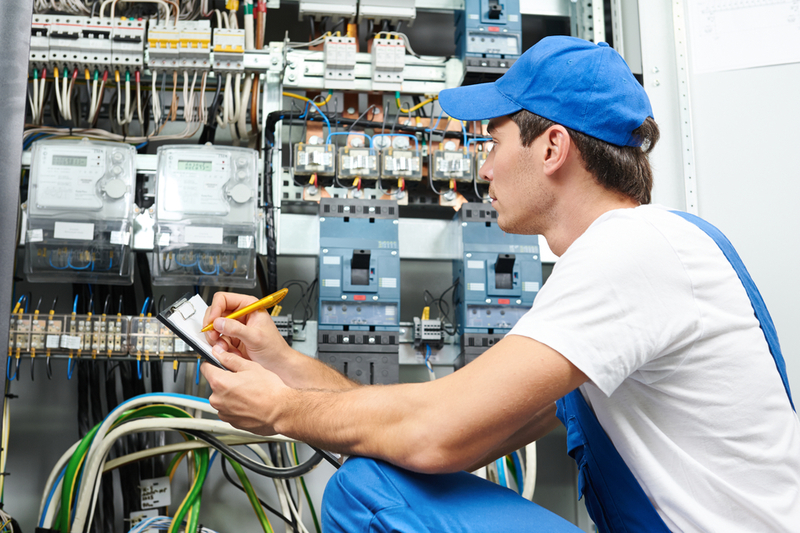 If you’re looking for a commercial electrical maintenance partner, look no further than Anmar Solutions. We combine excellent customer service with the highest levels of electrical safety compliance to ensure your commercial enterprise has a safe space in which to conduct business. We place a particular emphasis on building a relationship with you. This relationship is essential in creating the consistency that is the key to a practical commercial maintenance service. This relationship is backed the state-of-the-art technology, operated by the best technicians available and overseen by the core set of values that have given us so much success. A key value is transparency. We ensure every action is documented and logged so we can provide you with reports and logbooks to prove your compliance. Our reminder service ensures no piece of machinery is ever offline or even worse, at risk of causing damage or injury. If you own or manage a commercial enterprise, you are responsible for providing your employees, clients and the general public with a safe space to work and engage with your business. You are liable for any failure to do so, which is why proper electrical maintenance is essential in remaining compliant. Electrical maintenance is about more than safety, it’s about performance. Your electrical appliances and machinery are the lifeblood of your business. Proper support keeps them running at their optimum which lowers your electricity bills and increases your production. Minor maintenance saves big repairs, so consider your investment with us as insurance against breakdowns and other costly examples of downtime. Meeting electrical standards is not a choice for us. As a leading name in electrical safety, it’s what we stake our reputation on. This means we don’t just meet standards, we seek to improve on them wherever possible and do everything per the Australian Standards and legislation outlined below. All of our technicians work according to AS/NZS 3760:2010 In-service safety inspection and testing of electrical equipment, which ensures the highest standards of safety. Testing and tagging needs to be carried out throughout commercial enterprises to minimise any risk to workers and ensure you are holding up your responsibility as a responsible workplace owner. Without well-functioning exit and emergency lighting, you cannot hope to provide a safe workplace as they are essential in providing a safe path during emergency situations. Our work ensures your commercial space is compliant with AS/NZS 2293 Emergency escape lighting and exit signs for buildings. All of our maintenance professionals are trained to perform the routines and requirements laid out in AS/NZS 2293.1 and AS/NZS 2293.2. As a leading provider of workplace safety, we carry out all operations under the strictures of the Occupational Health and Safety Act 2004 and the Occupational Health and Safety Regulations 2007. This act lays out all employer and business owner responsibilities, and we follow them to deliver complete safety for our clients, our staff and the general public.